Ever wonder what your aura looks like? Now for the first time at Enchanted Cottage you can see your aura. See live video feedback of your aura. Pick up a crystal or stone and instantly see how that crystal or stone affects your aura. Get a snapshot photo and a report about your aura, electro magnetic field, and chakras. Having a Reiki Healing session? We can even show you live video feedback of the healing energy you receive during the session and how it effects your auric field. Sessions are approximately 20 minutes. (Male Energy) and the left side (Female). What is Your Color Sign? are wood (green), fire (red), earth (yellow), metal (white) and water (blue). These levels are Body, Emotion, Mind, and Spirit. The four levels indicate which part of your life is mostly emphasized. The relaxation meter is based on the temperature of your aura and shows if you are relaxed or stressed. 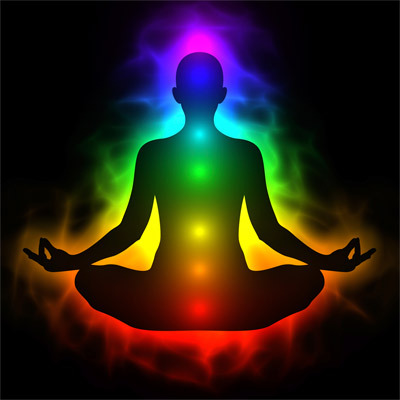 your Aura Imaging Session today!